No longer a teen nor much of a troublemaker, singer/guitarist Lizzie Cuevas is nonetheless familiar with the harshest teenage peril of all: heartbreak. Armed with lovelorn lyrics, dreamy vocal effects, and some serious ‘60s girl group harmonies, Cuevas battles the forces of adolescent angst with a range of sounds from across the indie pop spectrum, from the laid-back summer surf vibes of Best Coast and La Luz to the heavier, moodier melodies of longtime favorite Weezer. If you listen closely, you might even catch some Queen in there. With pop punk band Sputterdoll and 8-bit rock duo The Glowing Stars already to her name, Lizzie’s latest musical endeavor looks to be her most ambitious yet. 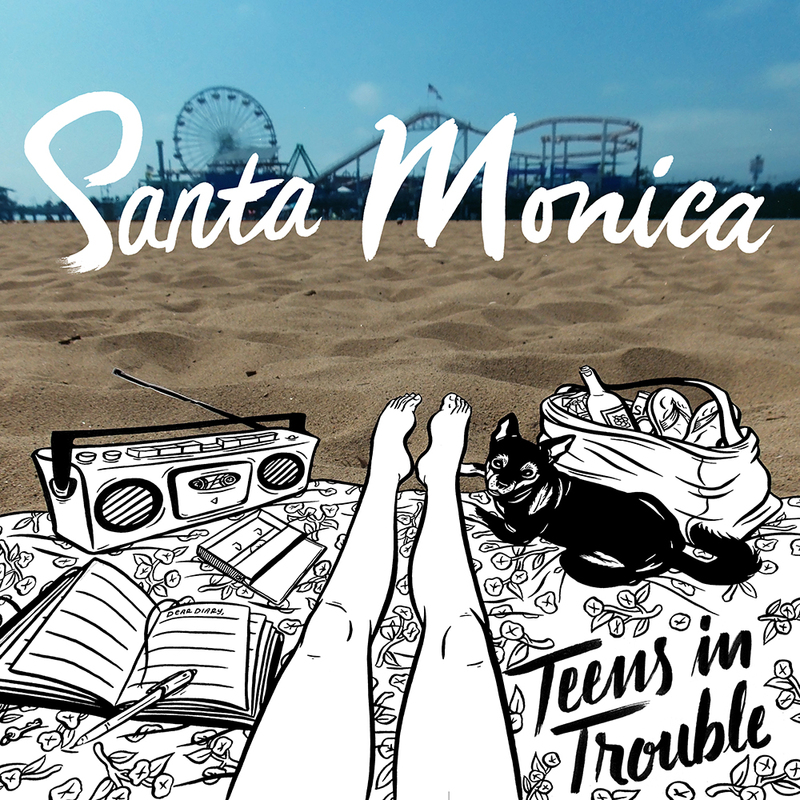 Teens in Trouble’s debut single “Santa Monica” is now available on Bandcamp.